It may surprise you, but cauliflower is a great, flavorful alternative to traditional mashed potatoes. Cauliflower can be difficult to incorporate into a meal plan, especially if you have picky eaters who don’t love the taste. For fun, try swapping out mashed potatoes for this cauliflower dish and see if your family can notice the difference. I think everyone will be pleasantly surprised by how good it tastes. 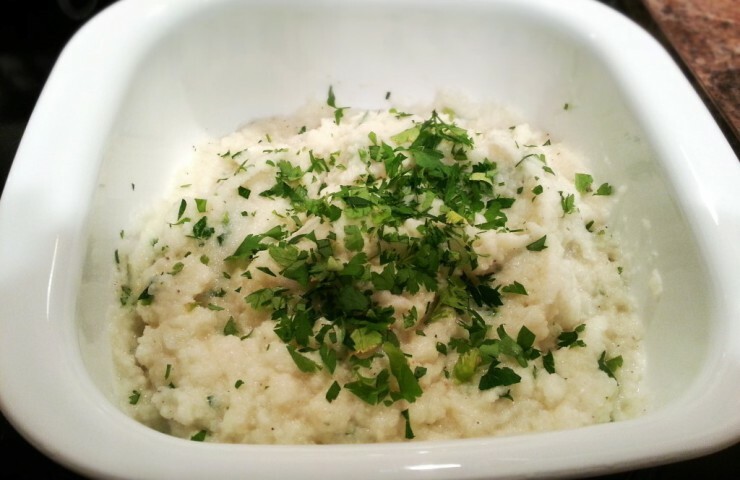 In addition to the comparable flavor, mashed cauliflower is quicker and easier to prepare, mainly because it tastes less time to cook. To begin, wash and chop an entire head of cauliflower. 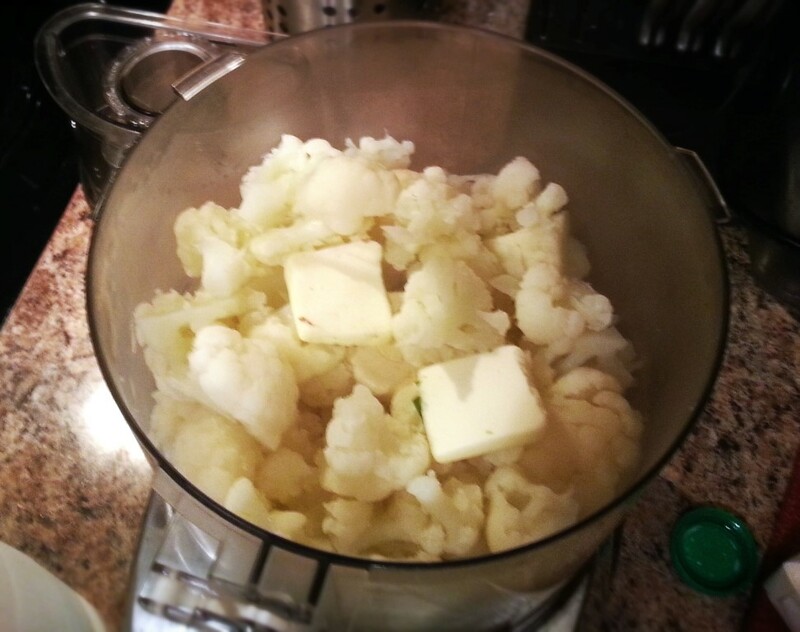 Place the chopped cauliflower in a steamer basket inside a pot, filled with about 1 to 2 inches of water. 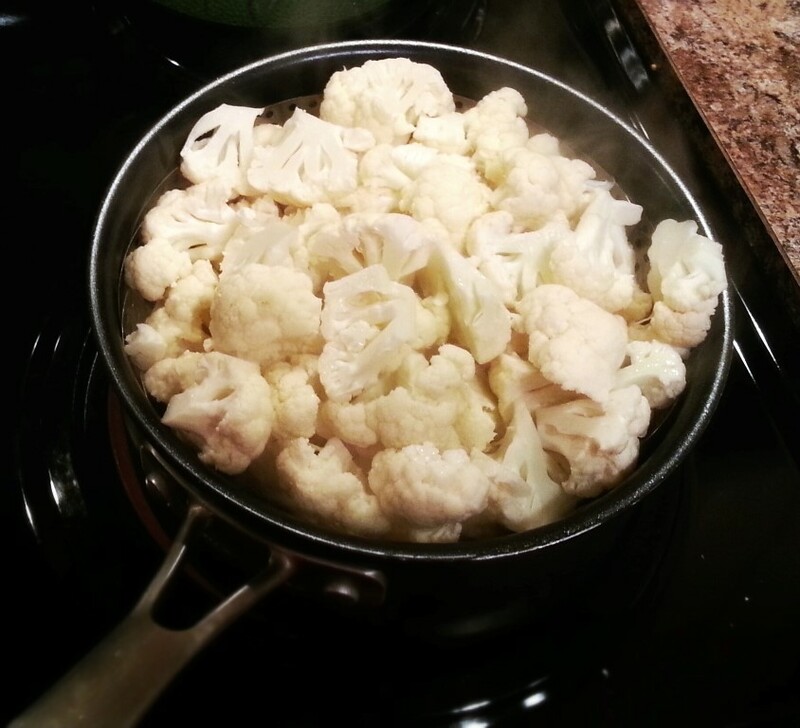 Cover and cook over medium high heat until cauliflower is fully cooked, about 5 to 7 minutes. Remove the cauliflower from the steamer basket and transfer to a food processor. Add in two tablespoons of butter, 1/2 cup of milk, 1 teaspoon of garlic salt and 1/2 teaspoon of pepper. Process until smooth and the ingredients are well combined. If you don’t own a food processor, transfer the cauliflower to a large bowl, add the remaining ingredients, and mash by hand with a potato masher until the smooth consistency is reached. Chop up a small bunch of fresh parsley. Mix some into the cauliflower and toss the rest of it on top prior to serving. Have suggestions for other unique ways to prepare cauliflower? Post in the comments and let us know! 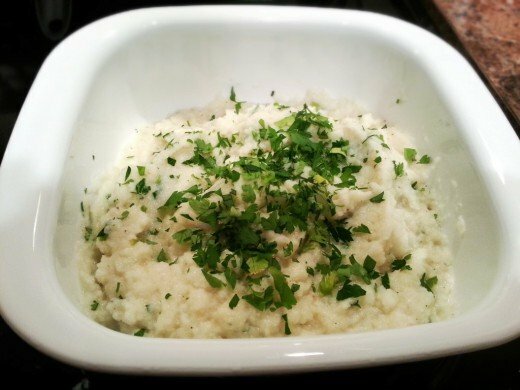 A great, healthy alternative to mashed potatoes! Steam cauliflower until fully cooked, about 5-7 minutes. Transfer to a food processor and add milk, butter, and salt and pepper to taste. Process until smooth. Top with parsley. If you don't own a food processor, use a potato masher and mash by hand. « We Joined a CSA! Try out a CSA for 2 weeks!